it’s not a very good idea to keep the baby in that position for longer than two hours. it’s best to keep his back flat. 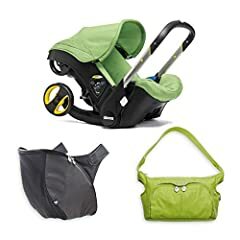 My Modes Click stroller has so many more options. This would only be good for a few months. Hello. U can send me some information abt baby s doona. Thanks u so much. 1 of the moms at my daughters school has this. She always raved about it about the convenience & simple versatility but it is very low to the ground & the handle does not go that high and seems more for shorter people. That mom was barely 5 feet & the handle was still too low for her. 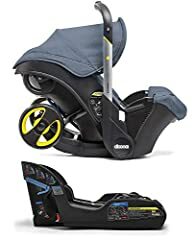 I really want to add this to my baby registry but I’m concerned for the height issue even though I’m just shy of 5’3″. 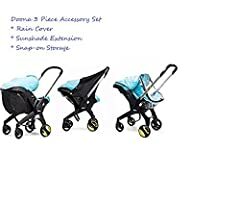 Has anyone else had any height issues with this carriage, especially the handle being too low? thank you! I love my doona! My issues with it are that there is no storage compartment, it’s a bit heavy and the wheels do not roll out and slow and smooth as the video shows. They just pop right out which sometimes wakens the baby with a jolt. It’s great and all but to expensive…. you run into some dog doodle at the park and see . There’s no cup holders or storage basket & if there is, you’ll just have to keep taking it on & off. 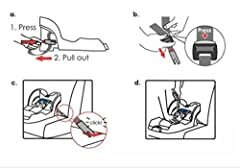 Plus this will only be good for 9-13 months, that’s when most babies stop using infant carseats. & it’s over priced.